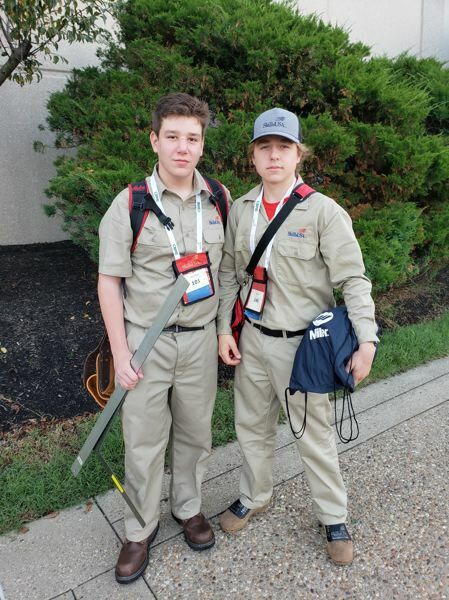 This summer, a dozen students from the Sabin-Schellenberg Professional Technical Center Manufacturing program headed to Louisville, Kentucky, to compete at SkillsUSA. All 12 students were gold medalists in their respective competitions at the state level. "All the students did very well. 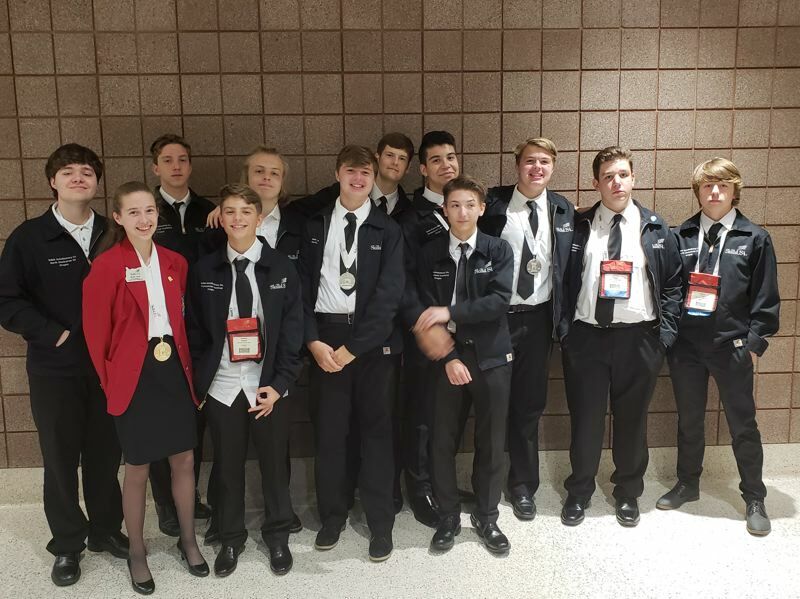 They trained for two months prior to the national SkillsUSA championship," said Mark Lynch, North Clackamas manufacturing instructor. Peirce Kuraz, Carson Craig and Ruvim Kirdey competed in the welding fabrication completion placing in the top half of the field. Markis Morales, Ricky Hoff and Sam Monson competed in Career Pathways, where they did a presentation on projects they had developed and built. Nate Sayre competed in welding sculpture. Andrew Tanner, a freshman, competed in sheet metal, where he built an HVAC duct fitting. Chris Lynch, another freshman, competed in welding, placing high enough to be invited to participate in the WorldSkills pretrials for an opportunity to represent the U.S. next year in Kazan, Russia. If he makes the first round of cuts he will head Nov. 6-8 to Fabtec in Atlanta, Georgia, for more competition. He has trained more than 12 hours a day to prepare for testing. He would like to thank Ron Gross and Miller Welding for allowing him to use the same machine he would see at WorldSkills. "This is a great opportunity for Chris," Lynch said. "He is one of 21 students from across the nation who are competing for this chance. Most of the others are college-age competitors." 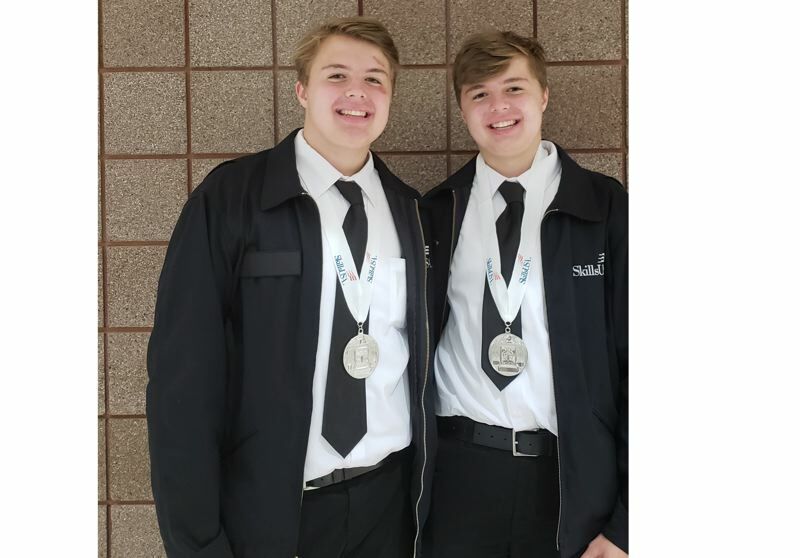 Max and Alex Tobiassen competed in the Community Action Project where they did a presentation on a mentorship they developed and implemented with Monument High School's welding program. They became the second set of North Clackamas students to take silver in this contest at nationals. 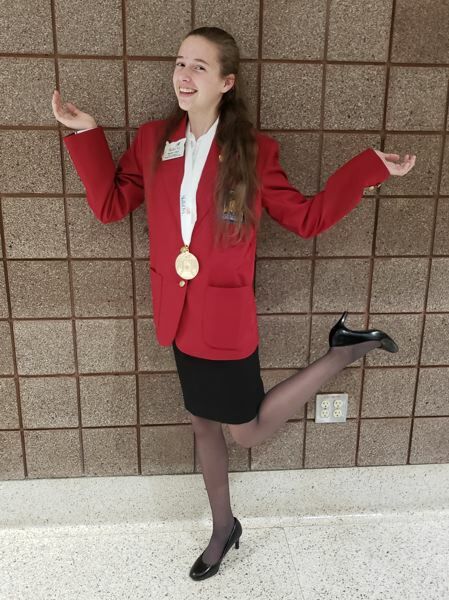 Alder Creek Middle School seventh-grader Briana Lynch went to SkillsUSA nationals to compete in pin design, not only taking first at the state level, but also her pin was chosen to represent the state at the SkillsUSA national competition. She is the first middle school SkillsUSA state officer.